Fashion during Isabella’s lifetime changed dramatically; but for the majority of her years, ladies’ gowns consisted of high-necked collars, long sleeves, and floor-length skirts. 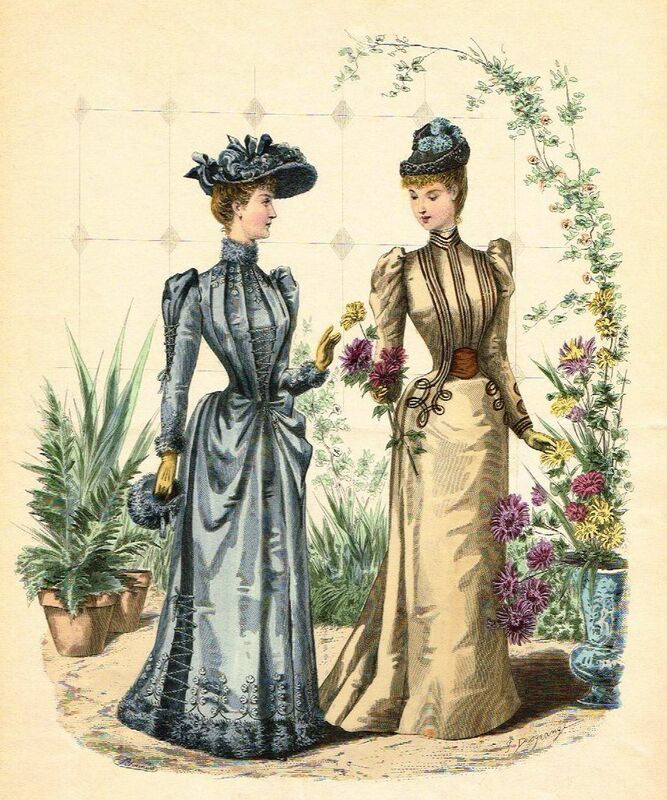 For the most part, women’s clothes were modest and conservative, especially when viewed by today’s standards. But underneath the “brown alpaca” or “black bombazine” gowns she mentioned in her novels (as well as layers of petticoats, corsets, drawers, and bustles), women found ways to express themselves in—oddly enough—stockings! 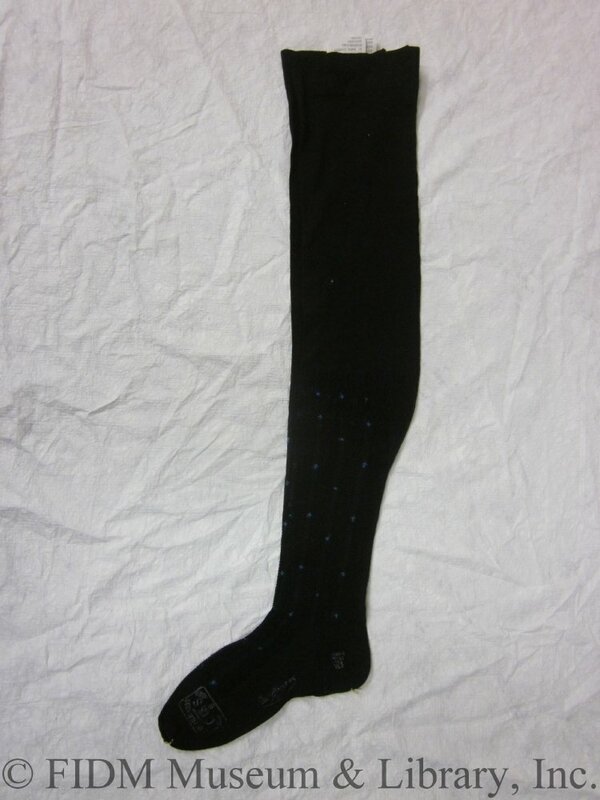 Black silk stockings (about 1890 to 1910). In those days, women’s hosiery was manufactured in different weights of silks, cottons, wools, and merinos. The most common color was black, followed by the color white. 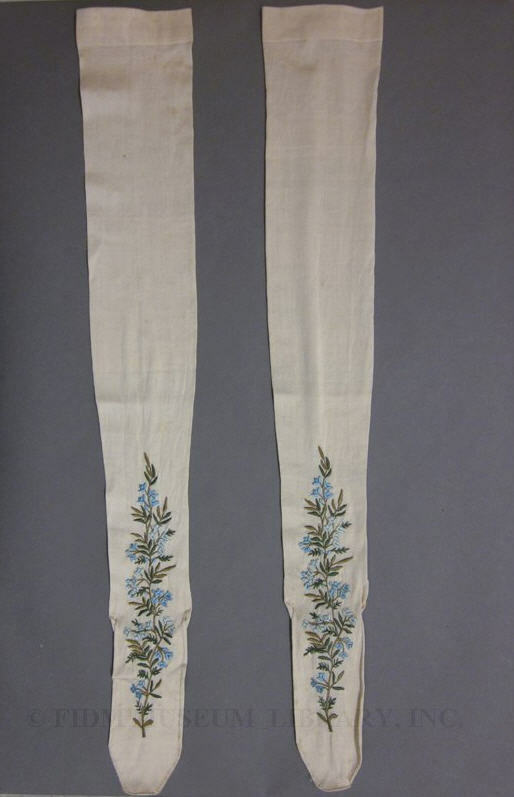 White cotton stockings (1835 to 1875). But some women expressed their personalities and preferences by eschewing those common colors for something bright and vibrant. 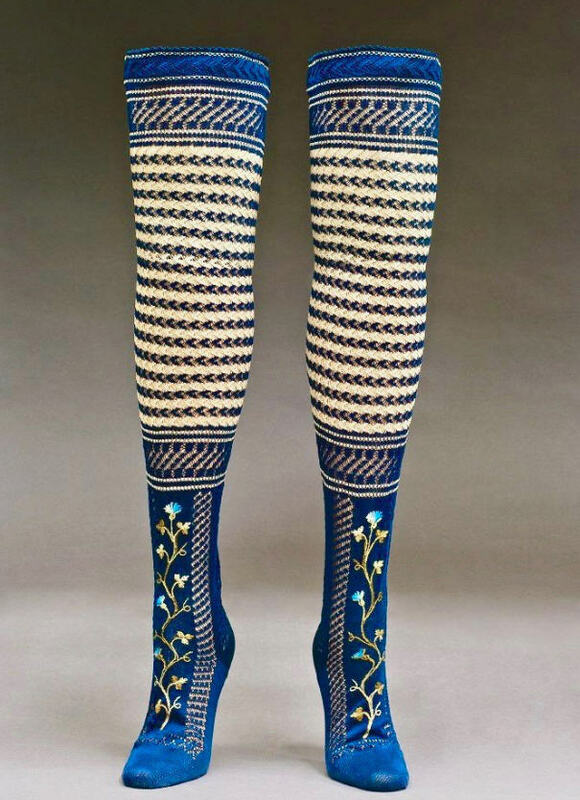 Embroidered silk stockings (1875 to 1900). But cost didn’t have to be a factor. These sensible cotton stockings were fun and playful . 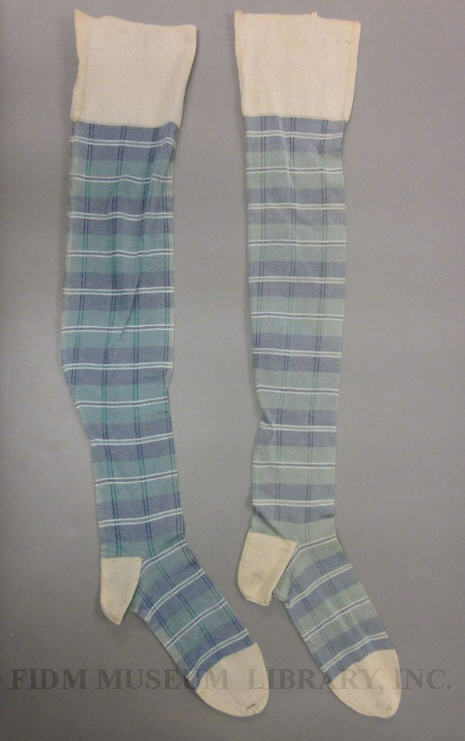 . .
Blue plaid cotton stockings (1830 to 1860). 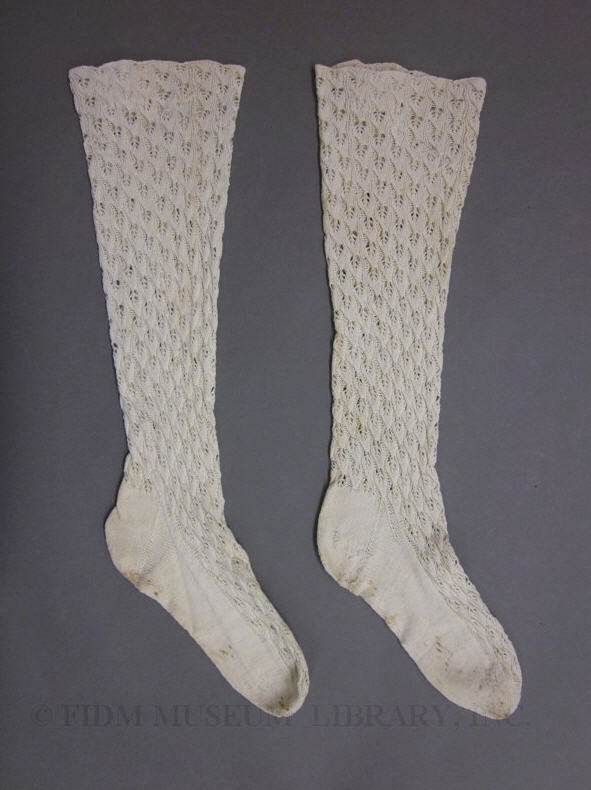 Cotton stockings (1875 to 1895). Some designs were more complex. 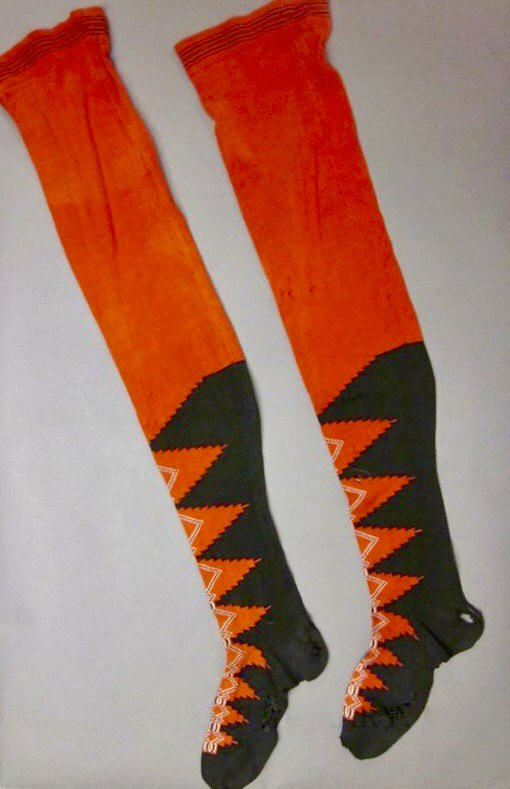 These lovely stockings combined geometric stripes with beautifully detailed embroidery. 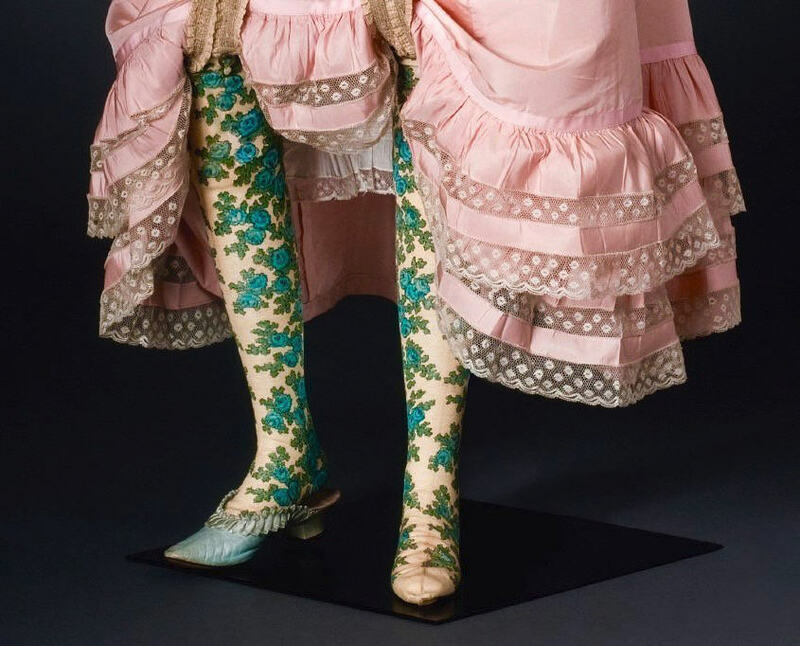 Blue cotton and silk stockings (1830 to 1835). When worn, a typical lady’s boot would have covered the lower embroidered portion of the stocking, leaving only the horizontal band and stripes visible (if she lifted her skirt). By contrast, the embroidery on these beauties was visible from knee to toe. 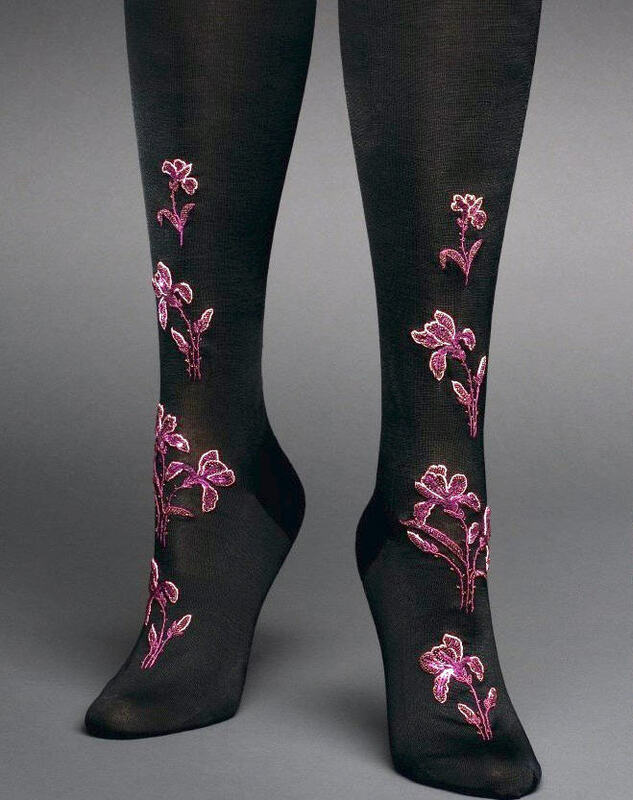 Silk stockings with floral design (1875 to 1899). Which stocking design is your favorite? Which pair would you like to wear? All the stockings shown in this post were found on the Fashion Institute of Design & Merchandising website, which documents over 200 years of fashion history. You can explore the FIDM Museum website by clicking here. It’s that time of year when students get ready to head back to school. Just as families today shop for back-to-school clothes, so did families in Isabella Alden’s books. The opening scene of Doris Farrand’s Vocation describes Doris’s meager college wardrobe and her sister’s efforts to make Doris appear as fashionable as possible—even if it meant buying clothes on credit. Merchants enticed shoppers into their stores with window displays of back-to-school wardrobes. Newspaper columns and women’s magazines gave advice on how to stretch a family’s wardrobe budget and listed the essential wardrobe pieces every student must have. The style of Doris’s clothes would have been rather restrictive. Her skirts were made from yards of fabric and the hemlines hit just at her ankles. 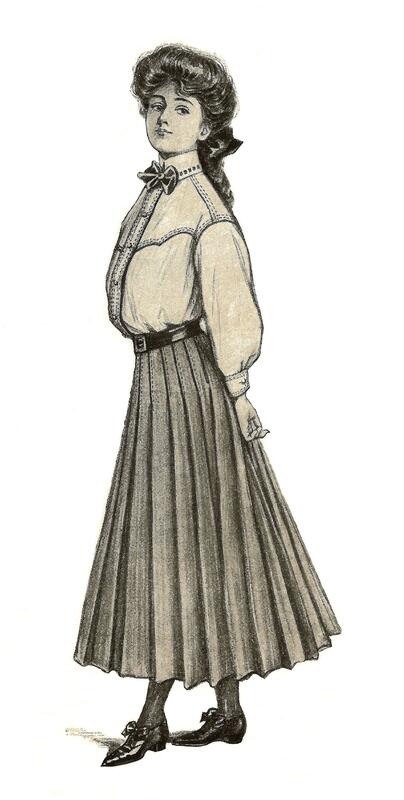 Her shirtwaists and dress bodices usually covered most of her arms and fitted high at the neckline. Of course, no outfit was finished until it was properly accessorized with gloves, shoes and stockings. The most important accessory was an appropriately-styled hat. Doris’s sister “was the milliner of the family.” She considered it her job to make Doris’s only hat over the best she could with bits of ribbons, since a new hat for Doris was simply not something the Farrand family could afford. The illustration shows how much hats had evolved; gone were the wide brims and large plumes that adorned hats when Doris was in school. By 1915 hats—as well as fashions in general—had changed considerably. 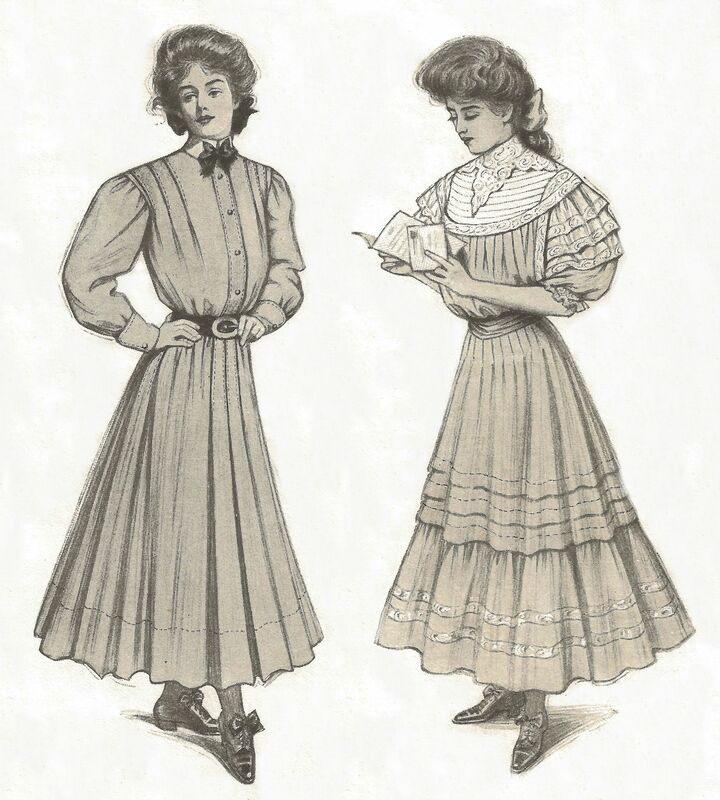 Many women’s magazines furnished patterns (indicated by the unique numbers shown beside each garment) that homemakers could order by mail at a cost of about ten cents. Sewing the outfits at home was often a less expensive option than buying outfits ready-made. The illustration on the left shows a “serviceable play suit with plenty of pockets” for a little boy’s treasures. The outfit is completed with long hose and a hat. 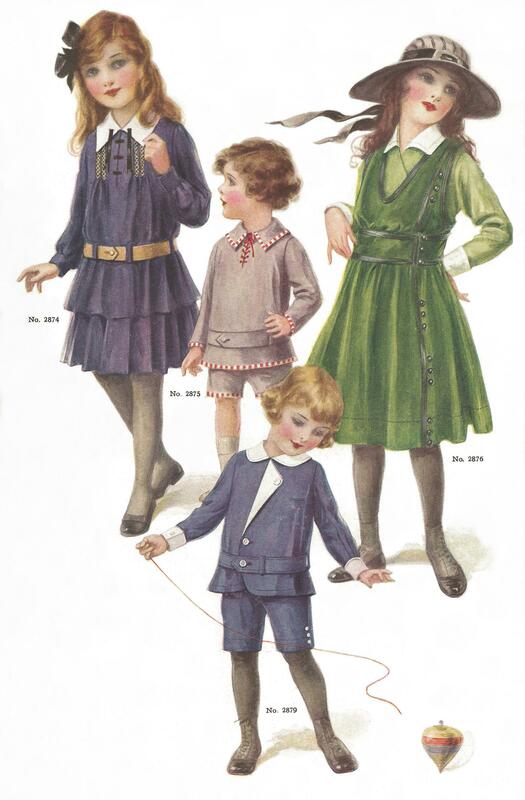 Fashions for girls had evolved, too. 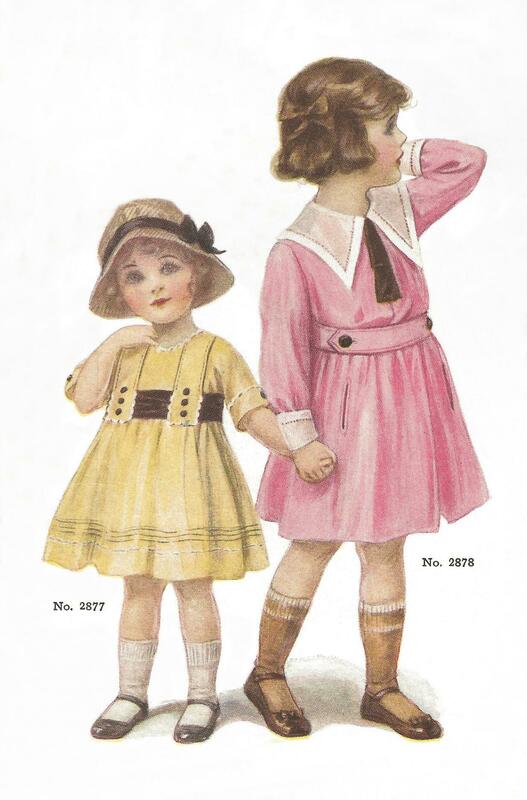 Young girls’ skirts were shorter, although they retained the traditional high waists of previous years; and they wore simple shoes and socks instead of long hose and ankle boots. Older girls and pre-teens abandoned their corsets for dropped waists and jumpers. Their skirts were significantly shorter, too, with hemlines hitting just below the knee. When a girl reached her later teens, she transitioned to more mature “costumes.” As in Doris Farrand’s day, a tailored suit was essential for every young woman’s wardrobe as was an evening dress. This excerpt from a 1915 fashion article showed just how much a young woman could expect to pay for her wardrobe essentials. 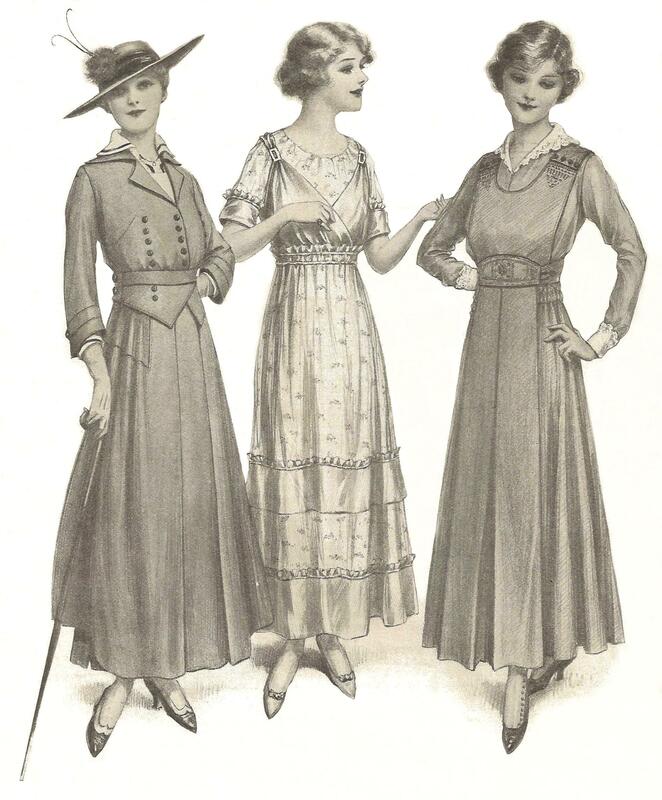 Young women of college age had to keep up with the 1915 fashions, too. 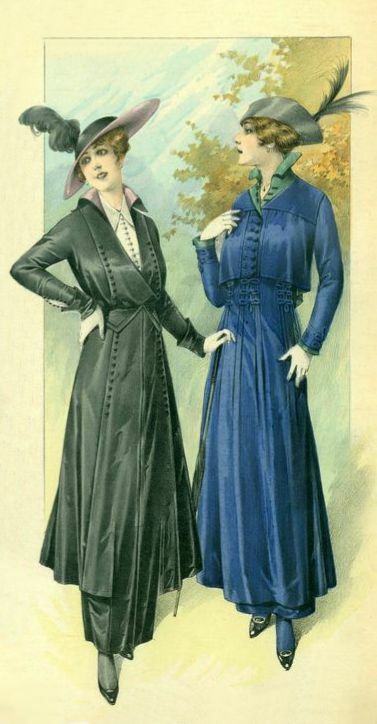 Dresses and suits were slimmer than those Doris Farrand wore; skirts were less voluminous and necklines were less confining. 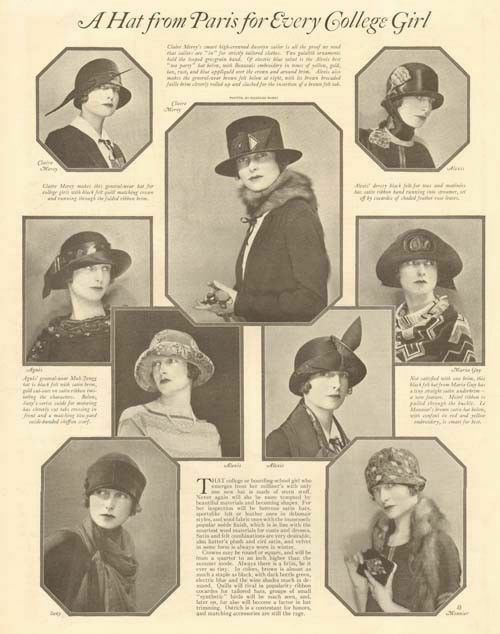 A 1920 magazine spread showing stylish hats for college women. This newspaper article showed how a college student in 1915 could build a complete wardrobe for less than $100. Unfortunately for Doris, the family budget couldn’t be stretched to give Doris even the few pieces mentioned in the article above. She didn’t even own evening dress. When Doris’s sister asked what she planned to wear to an important reception at the college, Doris replied, “My dress, of course!” She owned only one!